Jason Nyikos was working a high-paying, high-stress job at an Indiana machinery company when he decided to quit for what he thought would be a more laid back life as a college student, pursuing a degree that would eventually land him his dream job. He researched dozens of schools, considering everything from class sizes and campus life to how schools processed GI Bill claims for veteran students like him. Within a month, he was sitting in class at ITT Technical Institute starting on his bachelor’s degree in electrical and electronic engineering. 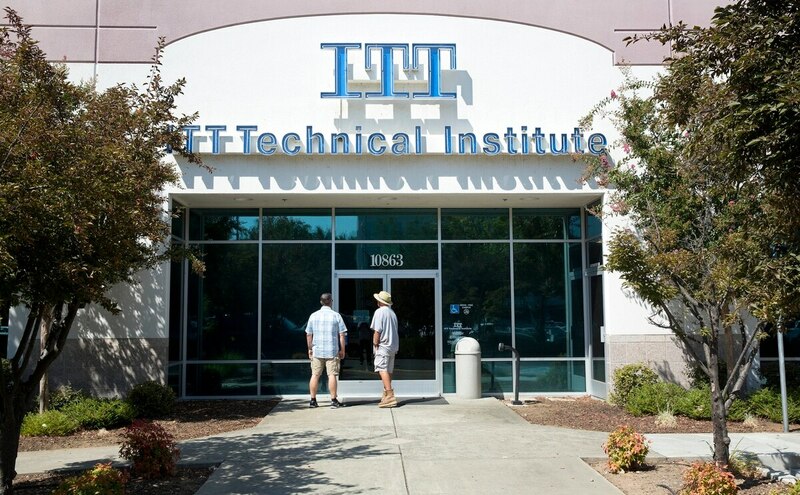 Of the more than 40,000 ITT Tech students who were left in limbo when the school closed its doors, about 7,000 GI Bill users like Nyikos saw the GI Bill benefits they had used go to waste. Unlike their fellow classmates who used federal Pell Grants to pay for school, students using the GI Bill were not able to get those benefits restored. Under a popular piece of legislation that’s quickly made its way through Congress, GI Bill users who lost their benefits to schools that have abruptly closed since 2015 would get their benefits restored for any credits that did not transfer to another institution. The Harry W. Colmery Veterans Education Assistance Act of 2017, or “Forever GI Bill,” has enjoyed strong bipartisan support and unanimous consent from lawmakers in both the House and Senate and is headed to the president’s desk to be signed into law. In addition to retroactively restoring benefits to veterans in Nyikos’ situation, the legislation would provide a semester’s worth of reimbursement for GI Bill users affected by future school closures, as well as up to four months of a housing stipend. It would also eliminate the 15-year time limit to use benefits post-active duty, expand benefits for reservists, Purple Heart recipients and surviving dependents, and provide additional GI Bill funds for degrees in STEM — science, technology, engineering and math — fields. And while many laud the new bill for restoring benefits to victims of school closures — a provision initially proposed by Nyikos’ congressman, Rep. Luke Messer, R-Ind. — some advocates feel the legislation doesn’t go far enough to protect veterans on the front end or those who have been defrauded by schools that don’t close. Marvin’s concerns were shared by Rep. Mark Takano, D-Calif., at a July 17 hearing for the Forever GI Bill on Capitol Hill. Calling the legislation “a major step forward,” Takano said it still does not solve the problem of “unethical schools preying upon veterans” and that there should still be more federal oversight to prevent this. Will Hubbard, vice president of government affairs for Student Veterans of America, said the nonprofit has had ongoing conversations with staff at the Education Department, with every indication that the department would support the legislation. Nyikos was thrilled to learn what the Forever GI Bill would mean for him. “I’m very excited, very happy...mouth wide open that this is actually going down because I never thought that it would,” he said. Now a student at Ivy Tech Community College in Lawrence, Indiana, Nyikos has switched to the medical field, paying for an associate degree in radiographic imaging with the 14 months of GI Bill benefits he has left. Getting back the 22 months’ worth he lost would be “awesome,” he said, and it may mean he can once again try for a bachelor’s.